I find there’s no peace till I die. 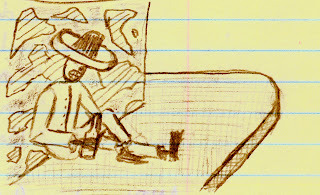 All images are from Brent's notebooks. We also included links to illuminate a few of the more obvious references in this song, just on the chance that you may not be familiar with a particular reference. The references in connection to each other are sometimes a bit obscure, but connections can be made nonetheless.